A friend recently asked if I'd make her a Box Card like I posted here, but she wanted it for an "over the hill birthday". 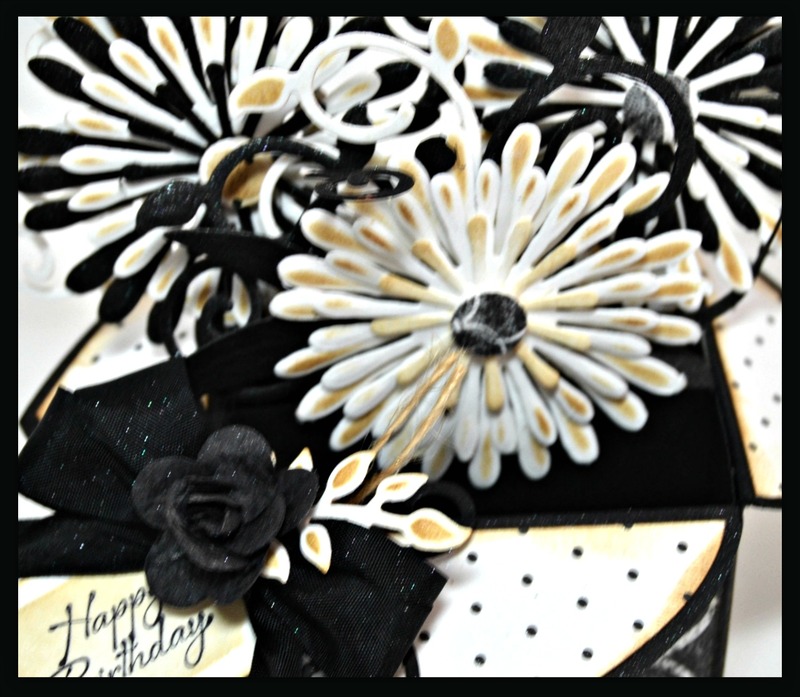 I created a Box Card using SVG Cuts Box Card Template, cutting the panels and pattern paper using the Silhouette Cameo. I did resize all pieces to 90% before cutting so that the Box portion would fit on 8-1/2" x 11" card stock. 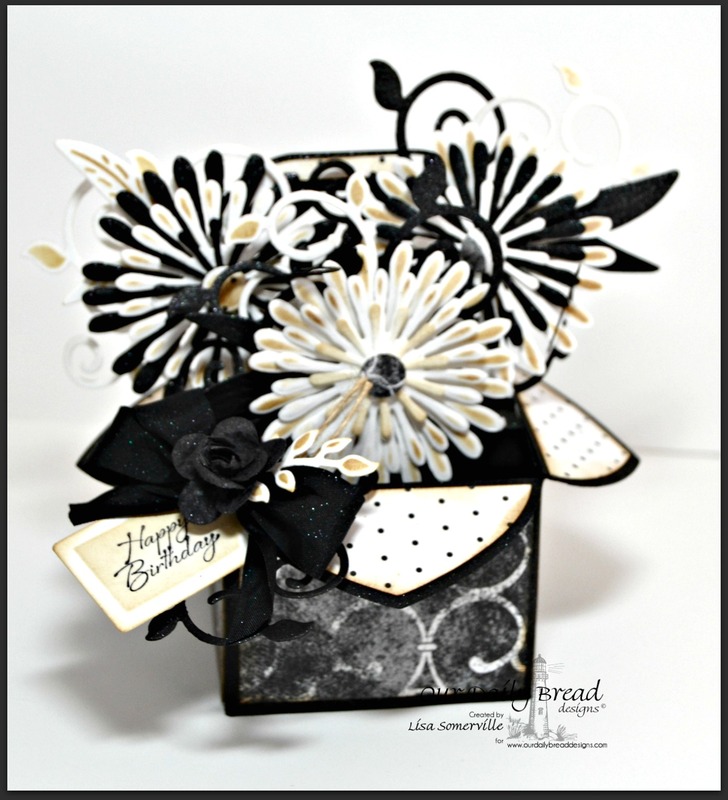 The flowers are die cut from White and Black card stock and scraps of the pattern paper using the ODBD Custom Asters and Leaves Die. Using this same die, I die cut the leaves from Black and White card stock, and added the flourish vine from Black and White card stock using the ODBD Custom Fancy Foliage Die. To embellish, I added a stamped tag using a sentiment from the Iris stamp set. I used a SAMJ to stamp the words on top of each other to fit the tag that was die cut using the small tag die from the ODBD Custom Recipe Card and Tags Die. To further embellish I added Black Vintage Seam Binding and Black Mini Rose, then sprayed the project with Glimmer Mist. Stunning in B&W with the touch of yellow! Love this box card.